Remington is committed not only to providing you with the superior product, but also the superior techniques to employ when using them. This Movember, Remington has teamed up with expert stylist Chris Appleton and created a brand new video showing you how to groom your Movember mustache, guaranteeing you raise awareness of men’s health issues with style. And don’t forget to join Remington’s Movember mustache contest. This year, your mustache will not only help raise awareness, but it could win you up to $250! Hey everyone! Recently I was given the opportunity to play around with the new Remington Multistyler...a tool that allows you to create 4+ looks! I am going to be showing you how I created a smooth and sleek style, a loose curl style, some beachy waves, and tight curls. 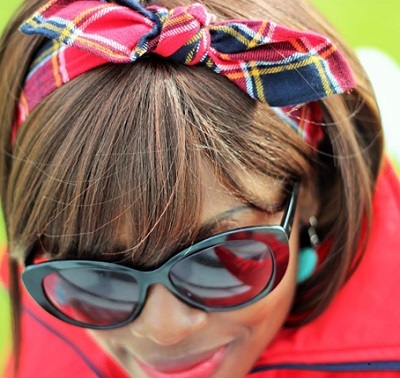 The Remington Multistyler is a MUST for girls on the go...most of these styles took me under 15 minutes to complete, not to mention you could throw this single product in your travel bag...no need for a curling wand, flat iron, and a deep waver! The versatility of this product is showcased in my videos. Hope you enjoy! Get the T|Studio SILK Multistyler exclusively at Walmart. Join Remington and help make November a Movember to remember! Movember urges guys worldwide to help raise awareness of prostate cancer and other cancers affecting men in the most masculine way possible: growing your mustache. 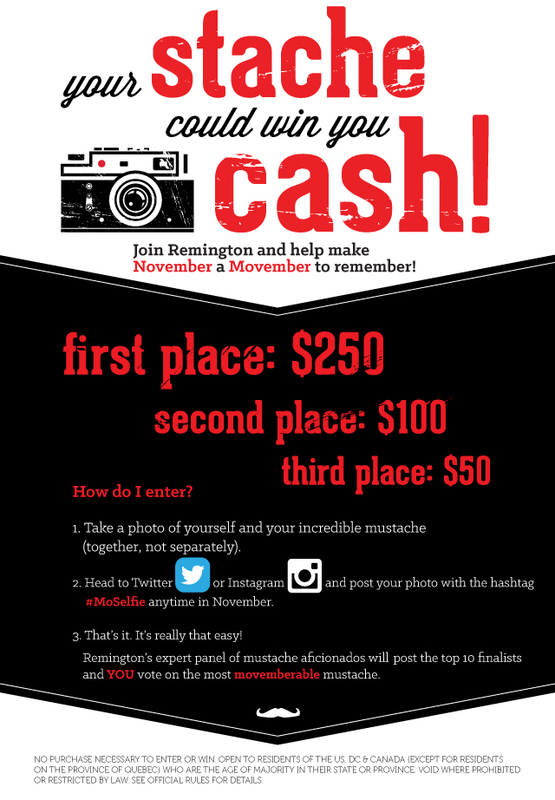 Fight the good fight alongside Remington this November with a chance to turn that stone cold stache into cold hard cash in our Movember contest! 1. Take a photo of yourself and your incredible mustache (together, not separately). 2. Head to Twitter or Instagram and post your photo with the hashtag #MoSelfie anytime in November. 3. That’s it. It’s really that easy. Remington will post the 10 best mustaches chosen by an expert panel of mustache aficionados. Those 10 will then be posted by us and voted on by you through the first week of December, with first place winning $250, second place winning $100, and third place winning $50 in December 9th! Join Remington and help change the face of men’s health this Movember!